A tireless Fronditha Care volunteer who visits the elderly residents of the organisation’s 120-bed aged care facility in Thornbury every day has been acknowledged for his service by the Victorian State Government. 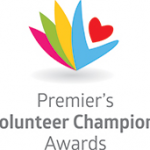 Anastasios (Tassos) Bardakos received the Victorian Premier’s Volunteer Champions Award on 14 December 2016, alongside 60 other noteworthy Victorians. Mr Bardakos was recognised for his selfless devotion to the residents and the numerous duties he undertakes and initiatives he has developed. As one of the facility’s regular bus drivers, Mr Bardakos has given the residents a chance to go on regular outings and experience an enriching activity program. He has also shown interest in the wellbeing of male residents, and launched the ‘Kafenio’ initiative, which is a weekly occurrence that significantly adds to the social and cultural environment of the facility. Mr Bardakos was touched by the recognition, and said it was “a momentous occasion” for him. It has been a year of accolades for Mr Bardakos, who was also named Volunteer of the Year at the annual 2016 ACSA Aged Care Awards. Fronditha Care would like to thank Mr Bardakos on his selfless commitment to the organisation and its much loved residents, for whom he has become a close friend and confidant. 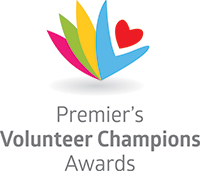 On 26 September 2016, Tassos was awarded the distinguished ACSA 2016 Volunteer of the Year Award and on 4 December 2016, he received one of the Victorian Premier’s Volunteer Champions Awards. Tassos has been a volunteer at Thornbury since 1999. He was introduced to Fronditha Care and its work as a daily visitor of his mother-in-law, who was a resident of our ANESI facility. After her passing, Tassos felt it to be a natural progression from visiting as a family member, to becoming a committed volunteer. Tassos visits ANESI every day, without fail, including weekends. What is noted is that he knows all residents by name and he greets them individually. He also knows their personal stories and conditions, and enquiries after their wellbeing. During both Awards ceremonies Tassos stated that as a volunteer he not only gives, but also receives a lot of love from the elderly. Another Fronditha Care volunteer, Dinos Diamantopoulos, also received the ACSA 2016 Volunteer Finalist Certificate, as recognition for his wonderful contribution to STORGI, Templestowe. Dinos, amongst other initiatives, drives the bus of STORGI and uses his community network to organise the attendance and participation of our residents at various Greek social clubs. 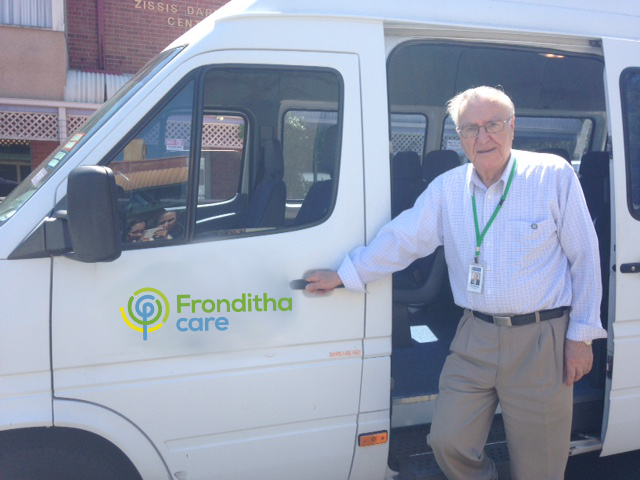 Jim Kalodimos – recognised by the Victorian Government for his longstanding Fronditha Care volunteer contributions. On behalf of the Board of Directors and Management of Fronditha Care, we would like to express our sincere congratulations to the long term life governor, volunteer and great friend of Fronditha Care, Mr. Jim Kalodimos. In December 2015, Jim was awarded the Certificate for Meritorious Service by the Victorian Government for his volunteer contributions of over fifty years. Following his arrival in Australia in 1955, from 1959 Jim was extremely active in the community being a founding member of the Pan-Arcadian Association, coordinating the first Greek community radio station, being Secretary of the first Greek soccer club “Hellenic” in Darwin, a member of the Australian Civil Defence Corps and a CFA volunteer and a volunteer counsellor with Lifeline. In 2000, he embarked upon his Fronditha Care volunteer journey, serving on the Board of Directors for over 8 years and still contributing today by providing support to the lifestyle and activities programs of Fronditha Care Clayton STEYI-PRONIA-GALINI. His contribution to Fronditha Care has been outstanding and we believe him to be a worthy recipient of the award. We wish him and his family all the very best. 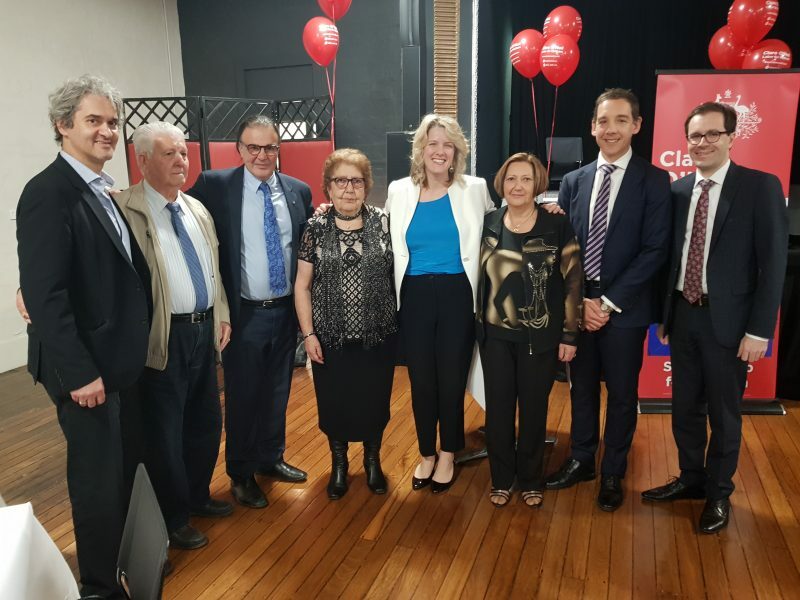 Three Fronditha Care volunteers have been named as 2018 Multicultural Leading Citizens in the Hotham electorate, an initiative started by Federal MP Clare O’Neil. Volunteers Evangelia Limneos, Christos Malamidis, Despina Stamatopoulos were singled out for their service to the elderly Greek community, and received the awards on 2 May 2018. 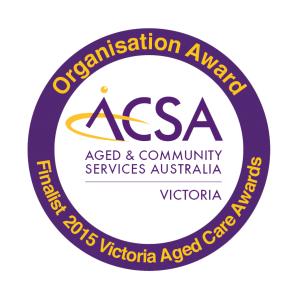 Each nominee had a specific commitment to bringing joy to the elderly residents across Fronditha Care’s five residential aged care facilities and for those the organisation cares for in their homes. Our volunteer programs are funded by the Commonwealth Government.